I'm a huge fan of the Air Wick products. I have my favorite scents that I buy all the time. How about you? Do you buy any of the Air Wick products? Do you have any favorites? One thing that I love about Air Wick is that they are always coming out with new scents. Right now their newest collection contains Cinnabon, Baby Magic and Snuggle. I participated in an Influencer Activation on behalf of Mom Central Consulting for Air Wick. I received product samples to facilitate my review and a promotional item to thank me for participating. 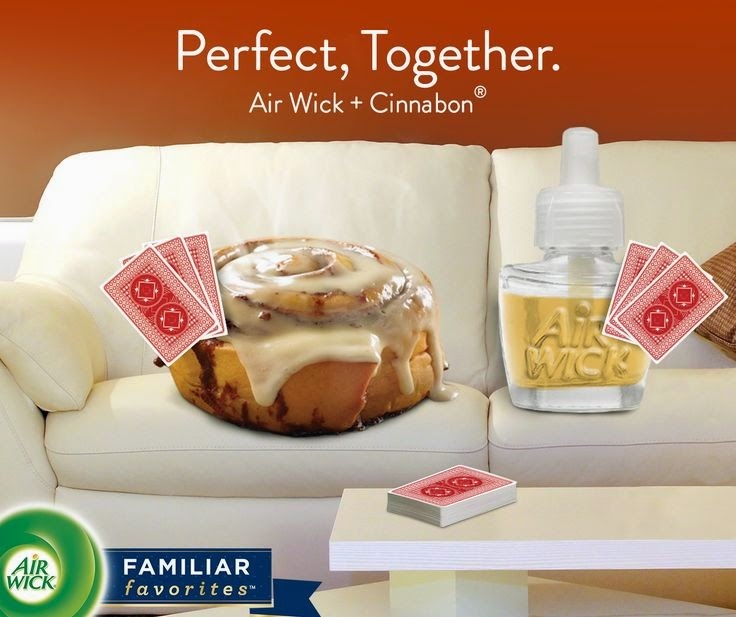 Air Wick's newest collection is called Familiar Favorites and are classic scents we can all relate to. In my home I have different scents for different areas of the home. These new aromas already have a place in our home. Cinnabon aroma is now in the kitchen. Several times family have asked what I was baking in the oven. This aroma is truly comforting and puts the kitchen at ease. Is this something you would have in your kitchen? Snuggle Air Wick is my teens favorite scent because it is all about clean laundry! Everyone loves snuggling their clean blankets and of course using fresh laundered towels. I added the Snuggle aroma in the bathroom and now the teens spend even more time in there! Where would you add this scent in your home? I love the smell of babies! The Baby Magic scent would be perfect for someone with a baby. It would be great for the nursery or even laundry room. I gave this scent to my friend who just had a baby and she loves it. It really is a comforting, relaxing scent. Where would you add this nostalgic scent in your home? So what do you think of this new collection? Which will you try first? 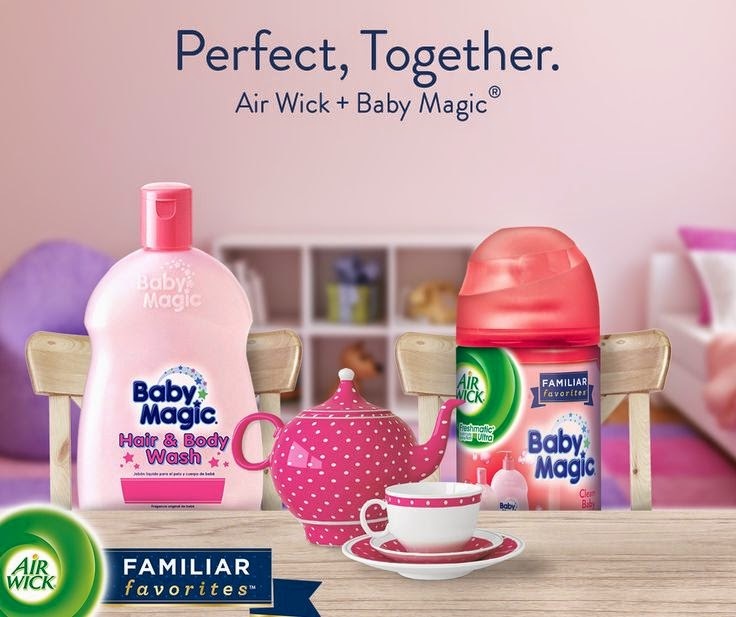 Find out more about the Familiar Favorites Collection by Air Wick on Pinterest. Follow their Facebook page and Website to keep updated on their latest products.